Local second-hand hybrids are becoming increasingly rare on the market, with big numbers being imported. Some two thirds of Irish drivers say they will purchase an electric or hybrid car in the near future, according to the latest Carzone report on buying trends. Irish motorists say they are now more open to switching to electric and hybrid cars, according to the report. The twice-yearly survey examines trends in the Irish motoring market and Carzone reports that "61% of motorists say their running costs have increased in the last 12 months, with 29% stating they spend upwards of €250 per month on keeping their vehicle on the road". Some 45 per cent of those questioned cited cheaper running costs as the number one reason for considering changing to electric or hybrid from petrol or diesel. The environmental benefit was the second most popular reason to make the switch, with 40 per cent citing this reason. Many respondents were not aware of the grants available for buying cars like the Nissan Leaf. Almost 60% of those polled were not aware of Ireland’s Electric Vehicle Grant Scheme, which allows private buyers to receive a grant of up to €5,000 when purchasing a new electric vehicle. However, despite the lack of awareness for the grant scheme, almost two-thirds claim they plan to purchase an electric or hybrid car in the near future with the Tesla Model S and the Lexus IS300h being the most searched electric and hybrid cars on Carzone site over the past six months. However, an analysis of new car sales and imports for the first ten months of this year would suggest that many drivers are opting to have a final fling with diesel and petrol. Diesel still dominates new cars sales and also the figures for imported cars. The figures show that sales of new diesel cars reached 54 per cent in that period, and of the 86,418 cars imported, 75 per cent were diesel. Petrol accounted for 38 per cent of new car sales and 25 per cent of imports. Hybrid, including plug-ins, accounted for just 6 per cent of new cars sales and just one per cent of imports. Dr. John Hayes of UCC, a leading authority on hybrid and battery motoring, who analysed the figures, described them as "sobering". It would appear that many Irish people are well disposed towards alternatives to diesel and petrol but many are also voting with their cash on the back of weaker Sterling values. That said, the value of second-hand hybrids and electric cars in the UK is rising. This is also the case in Ireland. 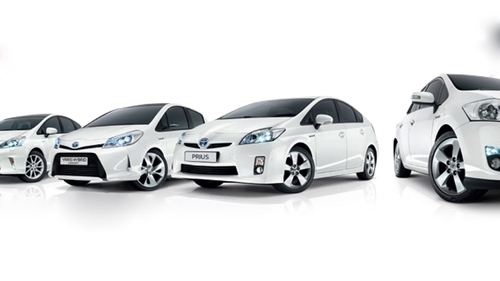 Many main dealers, including Toyota dealers, are now seriously short of cars like the Prius when it comes to second-hand stock and they are importing more and more hybrids from the UK, in a deal with Toyota UK, which disposes of many cars coming to the end of PCP agreements. The fact that one of the most popular cars on the Irish market - the Toyota Corolla - is now back with a 1.8 petrol hybrid engine has attracted much attention and Toyota says hybrid will account for 90 per cent of sales. That may tilt the balance in favour of hybrid choices, but when it comes to electric cars infrastructure (charging points and their availability) remains a huge issue and is a barrier to many people when considering an alternative. Toyota re-introduces five-seater commercial Land Cruiser.